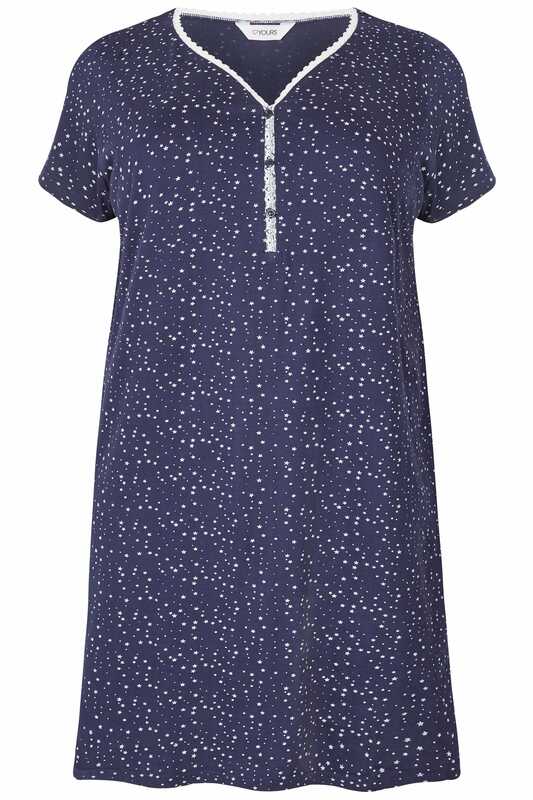 Freshen up your nightwear collection with this nightdress. Made from a pure cotton fabric, it features a v-neckline with lace trims, functional button fastenings to the chest and short sleeves. Snuggle up and team with one of our cosy dressing gowns and a pair of knitted slippers. 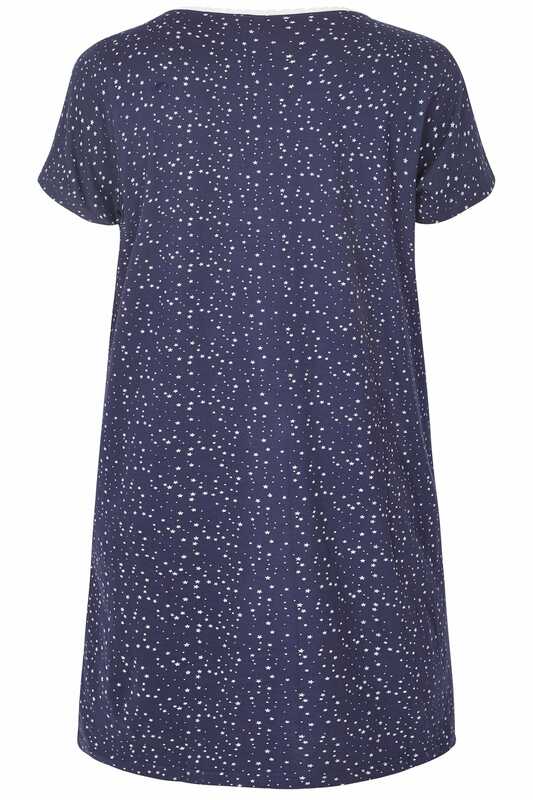 Perfect for relaxing in, we are loving the all-over star print and dark navy hue.